The kitchen can be the most complicated room in the home when it comes to remodeling. Where are the gas and plumbing lines? Do you know how to move a wall? Do you know what “trouble spots” to look for in the early planning stages so you’re not stuck with a huge, expensive headache later? 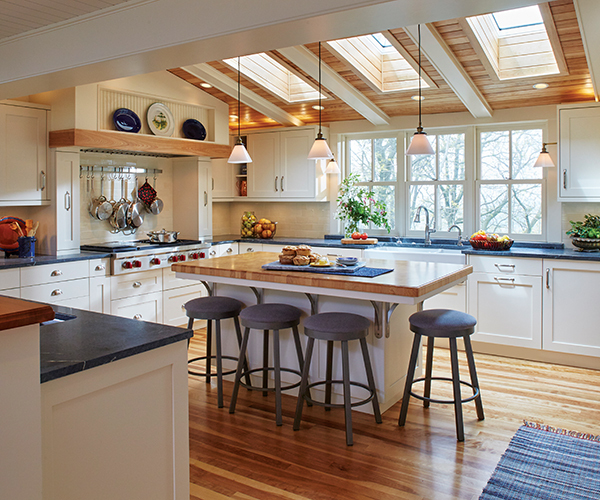 Certified National Kitchen and Bath Association (NKBA) design professionals know the answers to these questions (or can quickly find them for you), alleviating worry or stress caused by attempting the feat on your own. NKBA, a not-for-profit trade association, is a leading authority in the kitchen and bath industry, owning the Kitchen & Bath Industry Show (KBIS), which showcases the latest product innovations and leading brands at the world’s largest trade show—and the annual NKBA Design Competition, offering an exclusive platform for member designers, builders, and remodelers to receive national industry recognition. Associate Kitchen and Bath Designers (AKBD), Certified Kitchen or Bath Designers (CKBD), and Certified Master Kitchen & Bath Designers (CMKBD) know products, know how to maximize space (and budgets), have access to industry resources, and can help ensure that your product selection is installed with quality craftsmanship. Most importantly, they can serve as your advocate and help bring your vision to life.